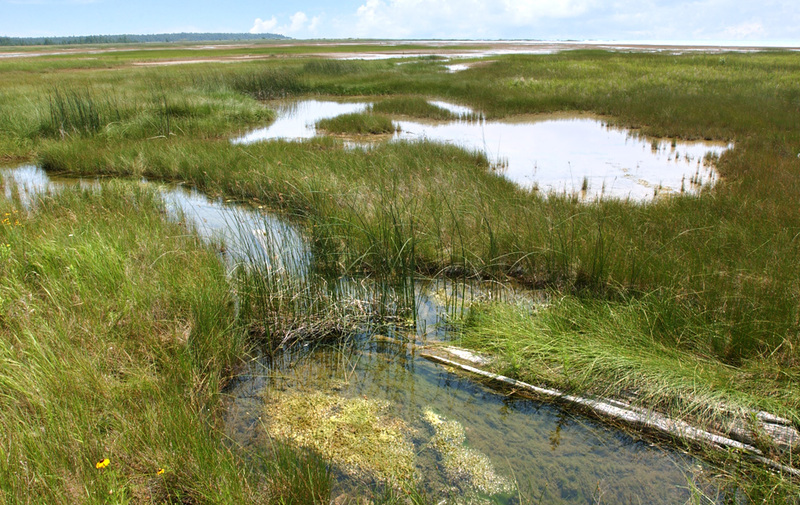 If property is part of a wetland, the owner is prohibited, without a permit, from depositing/placing fill materials; dredging or removing soil or minerals; maintaining any use or development; or draining surface water. “Fill material” is defined as “soil, rocks, sand, waste of any kind, or any other material that displaces soil or water or reduces water retention potential.” The Michigan Department of Environmental Quality handles the permitting process. It is long, complicated, and full of legal landmines, the legal outcome is drastic, life-changing, and costly. Take the case of Hernan and Bethany Gomez. They bought property in Livingston County to build a home and later to build a horse ranch–seemingly the American dream. As part of their development, they sought to install a horse pasture. To do this, they filled-in what the State deemed to be wetlands. The DEQ “found” the pasture when reviewing aerial photographs, and then alleged a violation of wetland regulations under the Natural Resources and Environmental Protection Act. The state agency sought to have the owners return the property to a wetland within 30 days. When the Gomezes refused, the DEQ later sued them in the Ingham County Circuit Court. Included in the permitting exemptions is plowing, irrigation, irrigation ditching, seeding, cultivating, minor drainage, harvesting for the production of food, fiber, and forest products, or upland soil and water conservation practices. The owners reasonably contend that their activities constituted “preparation and cultivation of the field for farming and ranching use,” so that their filling and cultivation of the wetland qualified under the exemption for farming- and ranching-related activities. It was a good argument under the plain language of NREPA. However, land owners must look not only to the plain language of a statute, but also how the courts interpret statutes. Sadly for many owners, the courts tend to heavily favor the government over the individual. The Ingham County Circuit Court judge ordered a massive restoration project, and fined the Gomezes ten thousand dollars. The DEQ had sought a fine of $10,000.00 per day. Such a conclusion is odd because farming and ranching always completely changes the natural state of land into agricultural uses. I disagree with the Court of Appeals’ decision, but I share it in this blog as a warning to others who have wetlands on their property. Traditionally, Michigan law has resolved any legal doubts in favor of the free use of property. The three-judge panel did not do so, and in a way which seems contrary to the plain language of the statute and against the principle that land use regulations are interpreted in favor of the free use of private property. Had the DEQ wanted to keep the land in Livingston County a wetland, it should have bought themselves. The State of Michigan is one of the largest holder of lands in Michigan with over 4 million acres. The real-world realities of the Court of Appeals’ decision on the owners are heartbreaking, though that is not mentioned in the appellate decision. Now, they have a court order to undertake expensive restoration their land back to how the State wants them to keep it, pay the $10,000 fine, and undoubtedly have paid substantial attorney fees. I hope they successfully appeal to the Michigan Supreme Court.